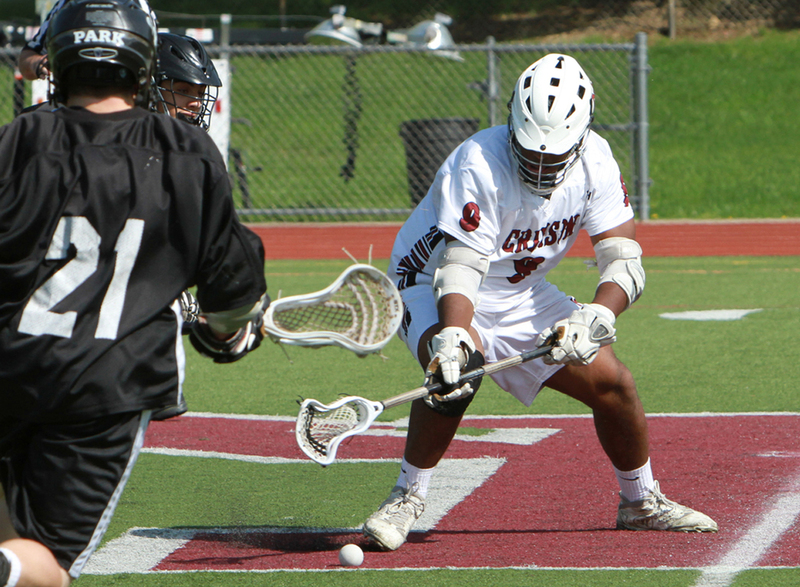 Congratulations to MBS senior Trevor Baptiste '14, who scored his 100th career goal on Saturday as the Crimson defeated Morris Catholic, 19-2. In his career, Baptiste has 100 goals and 43 assists while scooping up 640 ground balls. He will play Division I lacrosse for the University of Denver next year. Morristown-Beard won the Klank Division on Saturday and was undefeated in divisional play. The Crimson will face the winner of Rutgers Prep/Newark Academy in the quarterfinals of the Non-Public B Tournament.